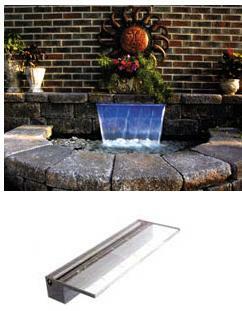 Atlantic's Colorfalls is the first lighted weir specifically designed for water features. A perfect fit for formal retaining walls and pond-free applications, Colorfalls adds a breathtaking new dimension to a water feature - waterfalls with shimmering details in white or blue hues. You'll be able to enjoy the beauty of your water feature day or night with Colorfalls.